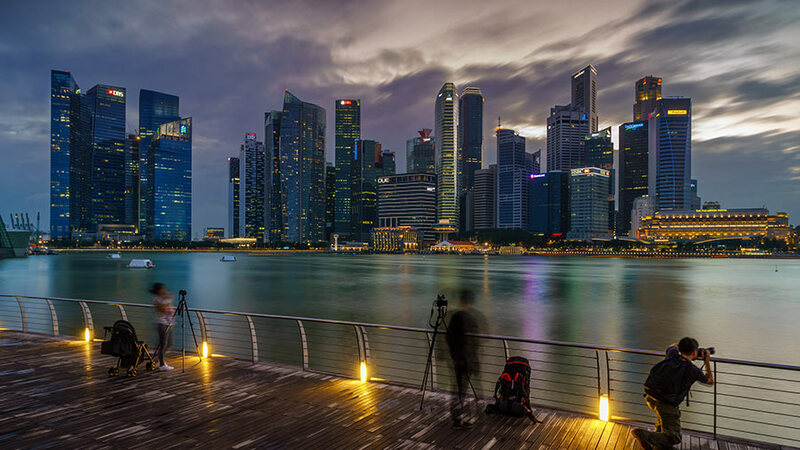 Singapore’s 2019 budget was announced on February 19 this year. With probably an eye on elections, which are likely to be held in early 2020, social provisions for the elderly and increased military spending find center stage in this year’s budget. Incentives for businesses were not the key focus of this largely society-driven budget. 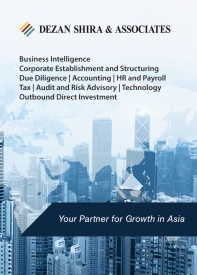 “The 2019 Singapore Budget focusses on security and shows that the government is taking a deliberate approach to expediting digital skills and re-skilling the local Singaporean workforce with less reliance on foreign workers’, said Paul Dwyer, who leads the International Tax and Transfer Pricing practice at Dezan Shira & Associates. In this article, we present key highlights from the budget and outline their potential implications for businesses. In a bid to give further boost to Singapore’s knowledge-based economy, Writing Down Allowances (WDA) for Intellectual Property Rights (IPR’s) are proposed to be extended until 2025. All capital expenditures made in respect of qualifying IPR’s before the end of the period will be covered by the WDA scheme. Specific income tax concessions for Singapore-listed Real Estate Investment Trusts (S-REITs) will be extended until the end of 2025. For Real Estate Investment Trusts Exchange Traded Funds (REITs ETFs), the current tax regime will be extended until 2025. An existing sunset clause for tax exemptions on S-REITs and REITs ETFs distribution received by individuals will be removed. Further, the Designated Unit Trust (DUT) scheme will lapse after March 31, 2019. Funds in the form of unit trusts, however, can apply for other tax incentives provided for funds. Until the deadline, approved DUTs will continue to receive the tax deferral benefits under the DUT scheme after the end of the deadline if they meet all the conditions. Additionally, the Approved Unit Trust (AUT) scheme will lapse on February 18, 2019. Tax concessions for existing AUTs will still be granted for a period of 5 years until 2024, giving them time to transit to an alternative tax incentive scheme. Tax incentives for funds managed by Singapore-based fund managers (“qualifying funds”) will be extended until the end of 2024, with slight changes. The condition that basic tier funds must not have 100 percent value of issued securities beneficially owned by Singapore persons will be removed, effective from 2020. Further, the list of Designated Investments (DIs) will be expanded. First, however, counter-party and currency restrictions will be removed. Investments such as credit facilities and advances and Islamic financial products with commercial equivalents to DIs will be added. The condition for unit trusts to wholly invest in DIs will be removed. The list of Specified Income (SI) will be expanded by including income in the form of payments that fall within the ambit of section 12 (6) of the ITA. Qualifying non-resident funds will be able to avail themselves of the 10 percent concessionary tax rate applicable to qualifying non-resident non-individuals when investing in S-REITs and REITs ETFs. The concession for GST recovery for qualifying funds will be extended until the end of 2024. Additional information on the change will be provided by May 2019. GST relief for international travelers will be adapted to the new conditions. If 48 hours or more are spent outside of Singapore, the GST relief goes down to S$600. If spending less than 48 hours outside of Singapore, the GST relief is changed to S$ 150. With effect from April 1, 2019, the total duty-free allowance for alcohol will be reduced to 2 liters with a maximum for spirits remaining at 1 liter. GST remission for S-REITs and Singapore-listed Registered Business Trusts (RBTs) will be extended until the end of 2025. It covers listings in the infrastructure business and the ship leasing and aircraft leasing sectors. All other conditions for GST remission remain the same. The 2019 budget will combine existing SME funding schemes with the Enterprise Financing Scheme (EFS) to provide a better overview of the available funding. The SME Working Capital Loan (WCL) scheme will be extended until March 31, 2021. Under the WCL, the government is taking up to 70 percent of the risk for bank loans compared to the current 50 percent for businesses incorporated less than 5 years ago. Additional S$ 100 million are allocated to the SME Co-Investment Fund III to continue supporting firms scaling up and internationalize. 100 percent Investment Allowances under the Automation Support Package (ASP) will be extended by 2 years until March 31, 2021. 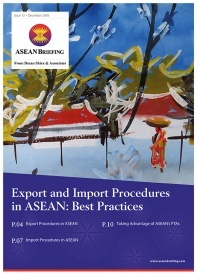 The allowance covers approved capital expenditure, net of grants, on projects approved by Enterprise Singapore. The approved capital expenditure is capped at S$ 10 million per project. At the same time, the support under the Enterprise Development Grant (EDG) will be extended until March 31, 2023. It covers support up to 70 percent of eligible expenses made by SMEs in adopting digital technology. The Productivity Solutions Grant (PSG) provides funding for SMEs to adopt digital solutions for cybersecurity and artificial intelligence. Further, the pilot phase of an Innovation Agents program will be implemented with the 2019 budget. Start-ups can tap on a pool of experts to get advice to innovate and commercialize technology. According to Dwyer, “The Singapore Government’s push for SMEs to adopt digital technologies and expand into e-commerce has a number of benefits; firstly it will help local Singapore businesses to expand into new areas. It will also have a positive impact in terms of growing the digital economy which can contribute to goods and services tax (GST) collections from imported services from 1 January 2020”. The Not Ordinarily Resident (NOR) scheme will lapse at the beginning of 2021. Already granted NOR’s will be further supported till the expiration of the status. The Property Tax (Tourist Projects) order will lapse after February 18, 2019. Diesel tax will be increased from S$ 0.10 per liter to S$ 0.20. For mitigating the effects, a three-year road tax rebate for diesel vehicles (including commercial vehicles) will be introduced and supersede the existing road tax rebate. The rebate will take effect from August 1, 2019, to July 31, 2020, at 100 percent – adjusted to 75 percent from August 1, 2020, and 50 percent from August 1, 2021, until July 2022. Additionally, the quota of foreign workers in the services sector will be tightened. From January 2020 foreign workers in the service sector can only make up 38 percent and from January 2021 only 35 percent of the workforce. The proportion of S Pass workers will be reduced to 13 percent in January 2020 and 10 percent from January 2021 onwards. Despite its orientation towards the upcoming polls, the 2019 budget attempts to address some major issues that the country is currently facing – a rapidly aging society as well as security issues involving some neighboring countries. 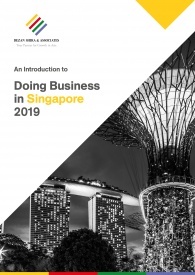 The funding of SME’s, start-ups and tech companies are aimed at upscaling the Singapore economy, capacity building and securing more opportunities for local Singaporeans.